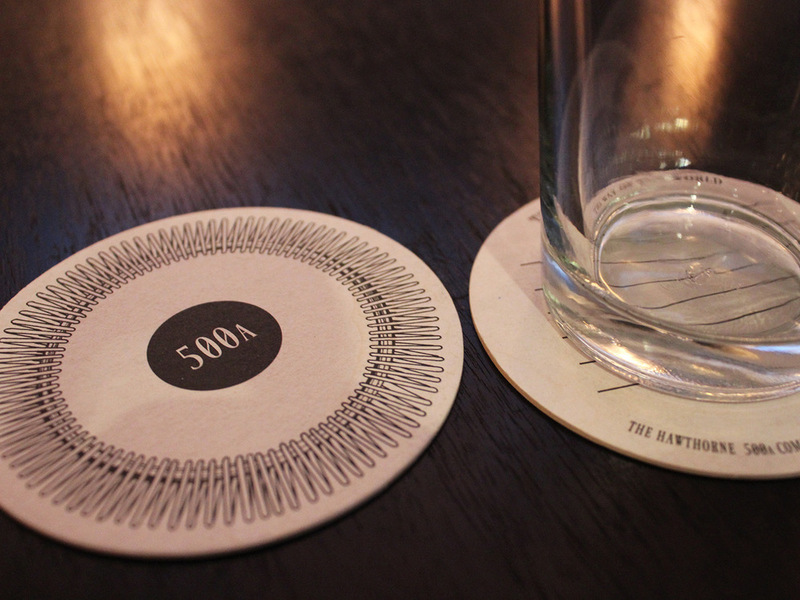 The Hawthorne Lounge in Boston's Kenmore Square is a drinking establishment like no other. 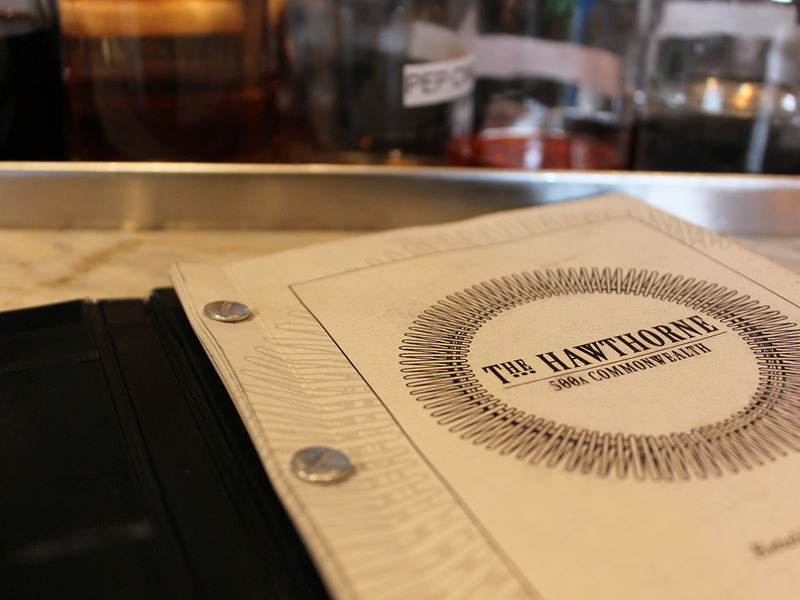 I was contracted to design the logo, menus and branding, which are based on the bartender's tool called "the hawthorne." 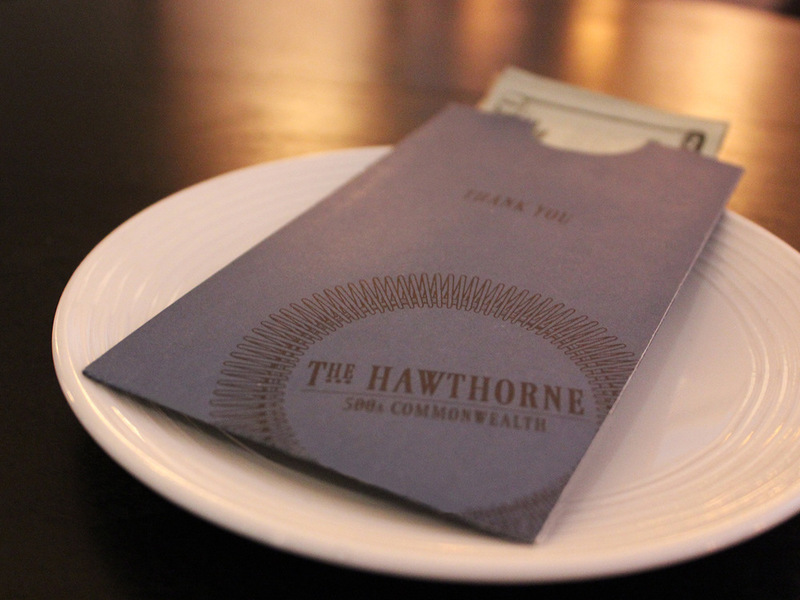 The embossed, leather-bound menus utilize Chicago screws so that they can be customized seasonally and re-assembled in house.